Muddy off-road adventure and the spicy culinary delights of Asia are always beckoning. But do watch for bugs, parasites, viruses and ever-lurking bird flu. Regular innoculations are one way to avoid travel risks. This is particularly true of cholera and typhoid. Hepatitis-B is another illness that can be easily avoided. FIRST THE CHICKENS. Then sushi. Then Spanish cucumbers. For the moment at least, bird flu (the H5N1 avian influenza virus subtype and related less deadly strains like H7N2 and H7N7strains) has not quite acquired the ability to transmit its deadly load from person to person though rare human infections have been reported since 1997 in China, Hong Kong, Vietnam, Indonesia, Thailand, Cambodia, and even New York and Virginia (USA), Netherlands and Canada. Unless you eat undercooked poultry in dubious locations, enjoy a drink of duck’s blood (a common treat in Vietnam) or come in close contact with sick birds, you can assume you’re safe. The same doesn’t necessarily go for those delectable little raw-fish morsels. According to a senior Hong Kong-based infectious diseases expert, sushi accounts for a sizeable percentage of parasitic infections and he advises that you steer clear. Yes, even in Japan. The name says it all. Traveller's diarrhoea is an unpleasant condition caused by bacteria in about 85 percent of cases (viruses and parasites account for about five and 10 percent of cases respectively), leads to stomach cramps, nausea, diarrhoea, bloating, vomiting, fever and malaise. According to the UK National Travel Health Network and Centre, traveller's diarrhoea (TD) is the most common illness contracted abroad, affecting 20 to 60 percent of overseas travellers. 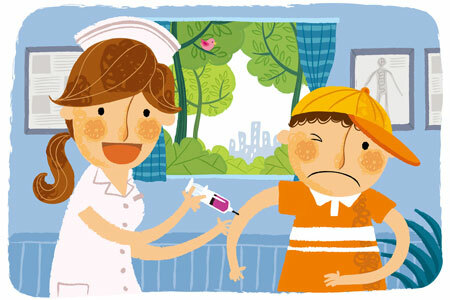 Vaccinations give 70 to 80 percent protection against the disease and there is an oral prophylaxis too which is deemed less effective. Just as with other food and water-borne bacteria, try to avoid them by being sensible in avoiding dodgy food and drink. Typhoid symptoms include headaches, lethargy and stomach discomfort, and sometimes a rash. Bloody diarrhoea can follow. Typhoid can be effectively treated with antiobiotics, but recovery is slow. A few years ago, the WHO’s Peter Cordingley spoke to us, adding that SARS (Severe Acute respiratory Syndrome), the respiratory syndrome caused by the SARS coronavirus that affected over 8,000 people in 30 countries around the world (but concentrated in six) in 2003, “has returned to the animal world and is thought to have its reservoir in Chinese horseshoe bats." It is not known whether it will return, but improvements in surveillance and knowledge since the 2003 outbreak make it unlikely it will have the same impact as it did then. Reprinted from Smart Travel Asia. Libby Peacock is a writer and editor who started her career at the Cape Argus in Cape Town, South Africa, and has since resided and worked in Hong Kong, Dubai and Sydney. She is now based in Surrey, south of London. Libby has edited, and contributed to, a wide range of magazines and newspapers, including Fairlady, Emirates Woman, AA Traveller (South Africa), online consumer travel publication Smart Travel Asia, the South China Morning Post, the Canberra Times and Reader’s Digest Asia. She is also the author of a health and beauty guide, Good Hair (New Holland Publishing). She has special interests in health, travel and the arts.